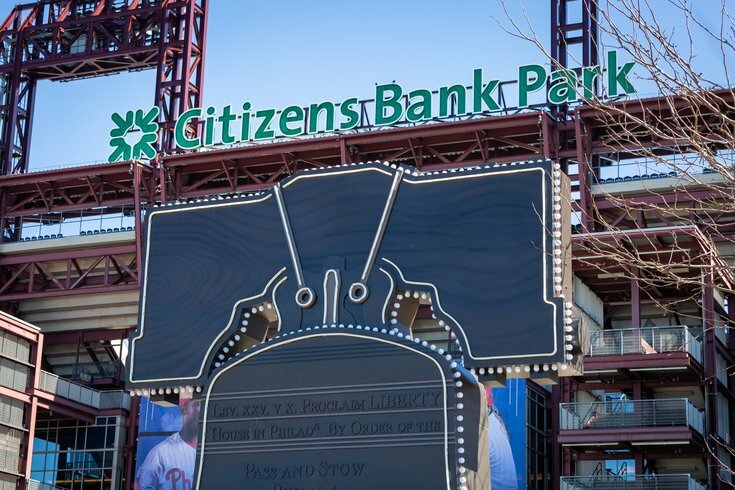 The newly-refurbished 19-foot high Liberty Bell, originally at Veteran's Stadium, was installed outside the third base gate at Citizen's Bank Park. Here’s something: the Phillies will reportedly host the 2026 MLB All-Star Game at Citizens Bank Park. Good things come when you sign a big-name free agent, eh? The Phillies will host the 2026 All Star Game at Citizens Bank Park. MLB will hold a press conference next Tuesday at City Hall to announce it. This will be the city’s fifth time hosting an All-Star Game, and the Phillies’ fourth. The Phillies most recently hosted the 1996 edition, back when the team still played its games at Veterans Stadium. The Phils also hosted the All-Star Game in 1976 at Veterans Stadium, and the 1952 All-Star Game at Shibe Park. The Philadelphia Athletics hosted the 1943 All-Star Game, also at Shibe Park. This year’s All-Star Game, for what it’s worth, will be held July 9 at Progressive Field in Cleveland. While Breen’s tweet said City Hall, the release above makes Independence Hall the backdrop for the announcement. If the league and the franchise are indeed positioning this as one big history festival, it’s likely Independence Hall is the correct location. Whether attendees will be able to use SEPTA to reach the Stadium Complex more effectively than the Democratic National Convention attendees remains to be seen.